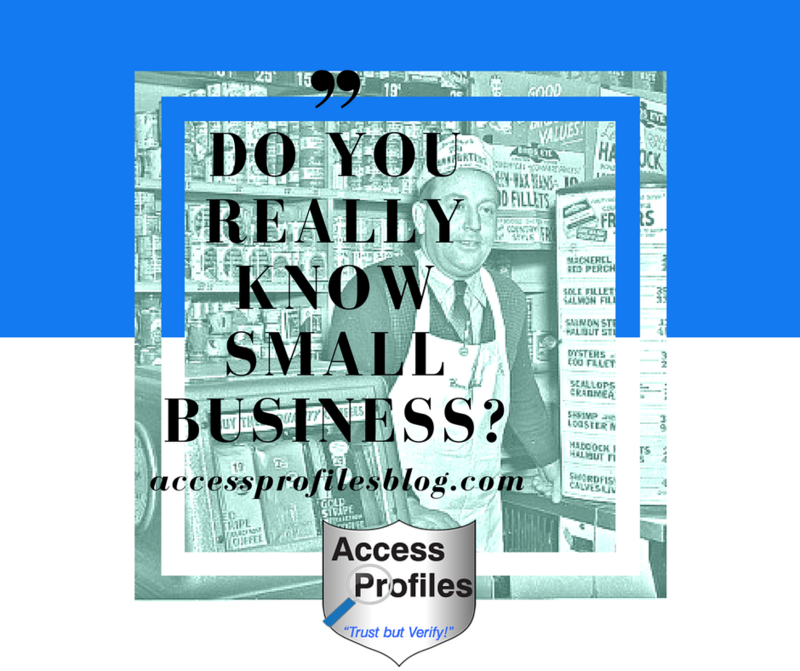 Do you think you know all there is to know about Small Business? You might want to think again! Small businesses, just like their owners, are unique. Many small business owners create their products or services to fill a void in what the “big boys” have to offer. They dedicate themselves to meeting the needs and desires of their clients and customers. This results in a kaleidoscope of small businesses that offer a wide variety of goods and services that truly speak to their customers and their specific needs. And while every small business is different, there are still things that hold true across the board. Learn a lot by running our businesses ~ the need to budget, to delegate and/or outsource, and to build strong relationships. Believe in the Benefits of Doing Business with Small Business ~ great customer service, commitment to quality, pride in ownership, sense of community, and specialized goods and services. Understand the Need to “Band Together” ~ we find power in numbers, join local networking groups, and share our knowledge and advice. Recognize the Benefits of “Shopping Small” on our communities and the environment ~ shopping local keeps our money “in town” and helps our environment by cutting down on packaging and shipping. 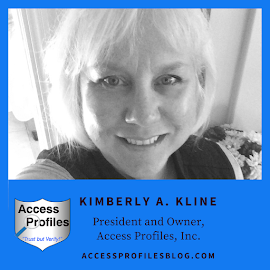 Dedicate themselves to Hiring Safely to Protect their Businesses and Customers ~ small business owners understand that screening their employees is the best way to keep their workplace and customers safe, while protecting their company brand! Learn more in “5 Truths about Small Business”! Now for the big question…..Do You Support Small Business? Supporting your local small businesses means supporting your neighbors and your community! Visit your local coffee shop. Buy hardware from that family-owned shop down the street. Even quality business cards and stationary can be found within your community. Increasingly you can even “shop small” outside your immediate neighborhood! Most small businesses have websites and online shops where you can make purchases or check out their services. 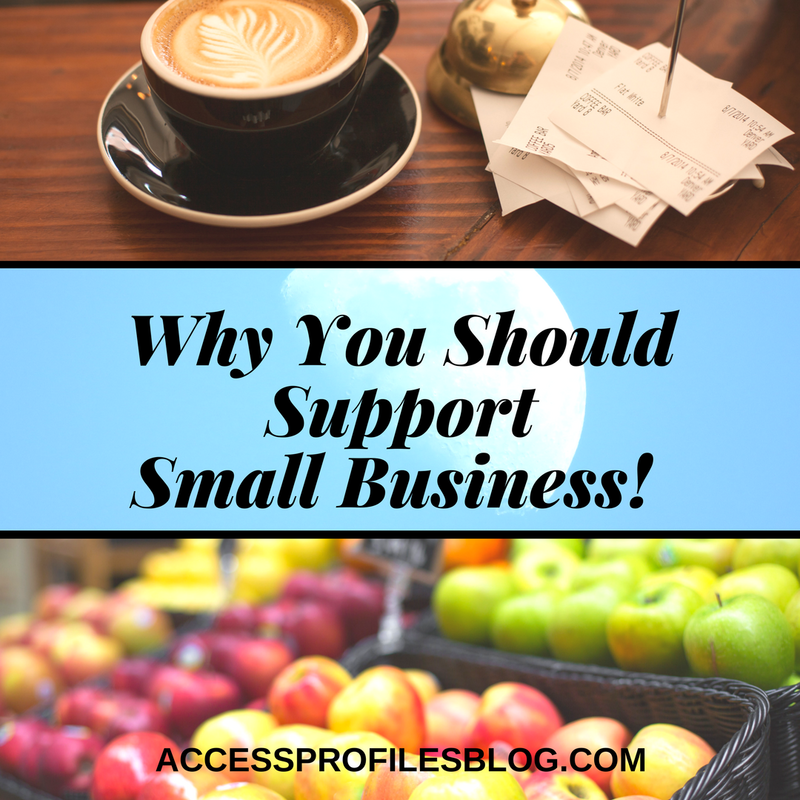 These sites help extend the reach of small businesses around the country and make it easier than ever before to support small business! You can even ask questions about the products or services they offer ~ and will most likely get a personal response directly from the owner or a trusted employee! That is the touch that many larger companies can’t replicate! So, while this year’s Small Business Saturday has come and passed, that doesn’t mean that we should quit “shopping small”. After all, helping our small businesses succeed helps each of us too ~ and our neighborhoods and communities will be stronger for it! Subscribe Now to discover more tips to help You and Your Small Business succeed! Security Consulting, and Business Mentoring services too! If so, you know how important it is to build a positive and trust-worthy brand. You understand the need to develop and sustain an image that reflects your core values and helps you build a solid reputation to attract and keep customers. You also know that in order to help you gain those loyal customers, you must Get Social! Social Media is a fantastic way for businesses, especially small businesses, to build their brand and connect with existing and potential customers. It allows you to reach a wider audience and “spread the word” more often and much farther than more traditional marketing methods. The key, however, it to be sure to use it to your best advantage. To do Social right, you need to Be Present, Be Consistent, and Be “Social”. But most of all, you need to Be Careful. Start by recognizing that what you share online is a strong reflection of you and your company. It should always be in-line with your brand and core values. That is why compromising your reputation by being cavalier about what you post is not good business. That is why it is best to separate the Business from the Personal. While this is relatively easy and clear on a site like LinkedIn, other sites like Facebook, Twitter, and Instagram are a little more murky. Do I have a dedicated business page? Do I use my personal page for business? keeping them separate is the place to start! Learn more about why guarding both your business and personal online presence makes good business sense ~ and how you can accomplish it ~ in “Why You Need to Keep Your Personal & Business Social Media Separate”! 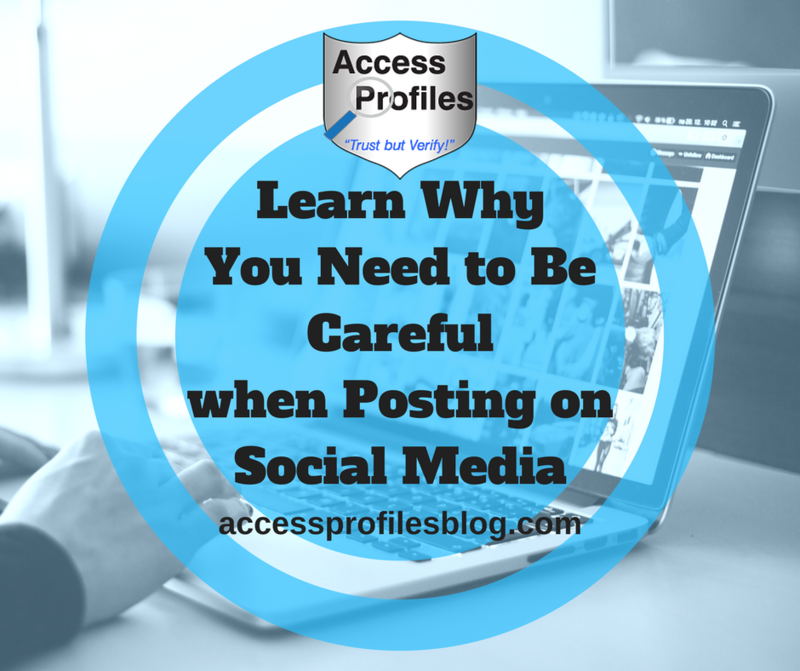 Social posts that share your personal causes and political views can all impact your business. While separate pages is definitely recommended, I take it a step further. I am also extremely careful of what I like and post on my personal page. That doesn’t mean I am impersonal and sterile. Even on my business page, I want people to know ME. After all, I am my company. But my political and social views are my own! I won’t risk alienating or losing existing or potential clients over them. This is even more important in today’s political climate. Instead, I have learned to use my social posts right, while still sharing what is important to me and my business. I regularly weigh in on issues that effect business and background checks. Things like new laws and regulations are common post subjects. I also share my thoughts on discrimination in hiring and women in business ~ both topics that are extremely important to me and are core values in my business. This way I can Be Present, Be Consistent, Be Social, and still Be Careful! 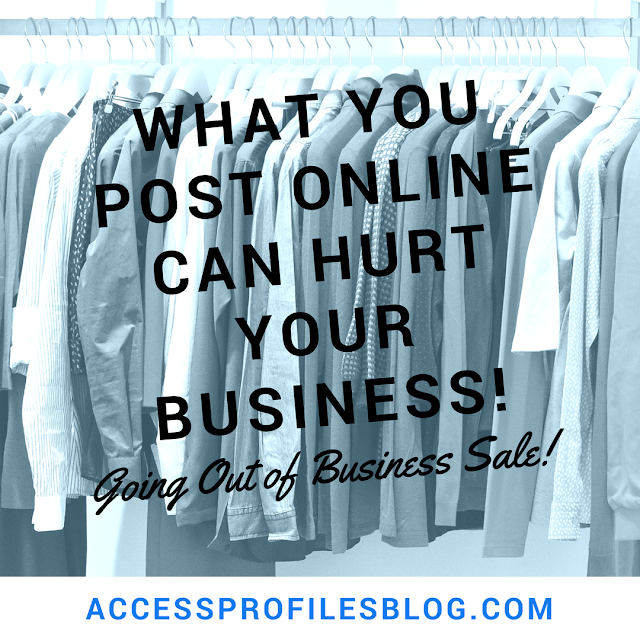 Are Your Social Posts working for You or Against You? Your answer can guide you in getting the best out of your social posts…and it is likely you will find that keeping them as separate as possible is simply Good Business! Contact API Today for help with your Background Investigation and Security Needs! 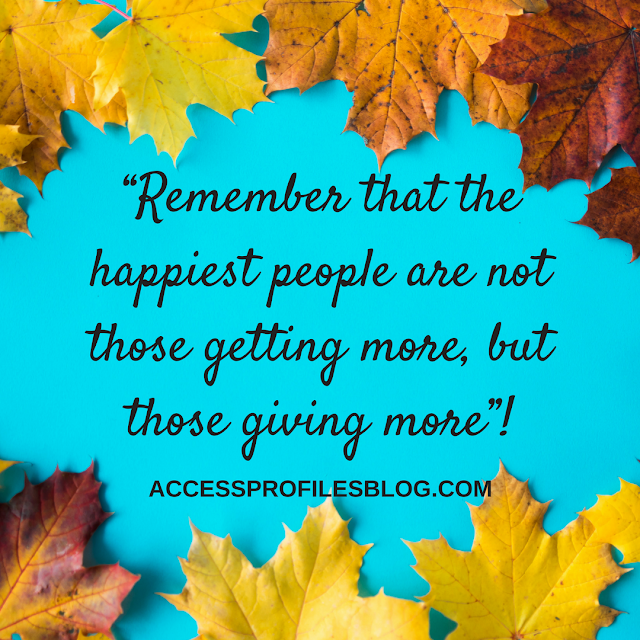 And be sure to visit our site to learn more About Us and what Our Happy Clients have to say! Social Media is being used more than ever! It is used within and by our government. Government agencies have their own Facebook pages. Our politicians use social media and dedicated pages to reach their constituents and run their campaigns. And even our president seems to tweet daily. Businesses are not far behind. They regularly use Social Media to build and maintain their company brand. Businesses also recognize how their social posts and advertisements can reach potential customers and earn them loyal ones. Now these businesses are also going a step further and using social media to hire. Social posts and tweets are being used to recruit candidates and announce open positions. And now, these employers are also using it as a way to help screen their applicants. They are doing Social Media checks! 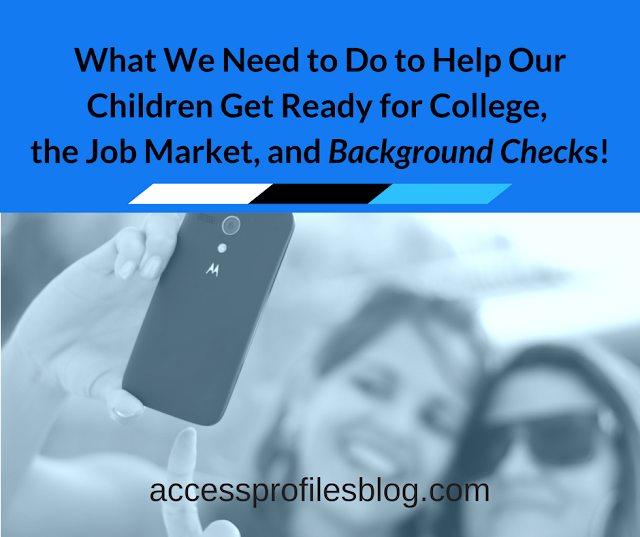 Social Media Checks are an addition to the more traditional type of employment background checks. For example, employers can use LinkedIn to help verify their applicant’s resume. They are even checking their candidate’s public social posts on sites like Facebook and Twitter. Social Media Checks give some job seekers pause. Many worry that it is blurring the line between their personal and business life. Others see it as an invasion of privacy. That is why it is important to clear up these issues and understand how employers are really using a Social Media check to hire. And that starts with understanding "What" employers are really looking for and "Why"! There are definite reasons why doing a Social Media Check on potential hires makes sense. First off, it is a great way to find relevant posts that contain professional information and can be used as a cross-check against a submitted resume. This can be a valuable tool to begin verifying a resume’s accuracy and a reflection on the applicant's honesty. Secondly, viewing social posts can give an employer a better insight into their candidate. They can see posts that illustrate an applicant’s involvement in charities, causes, or even favorite hobbies. This can help an employer see the candidate as a more well-rounded, interesting person. 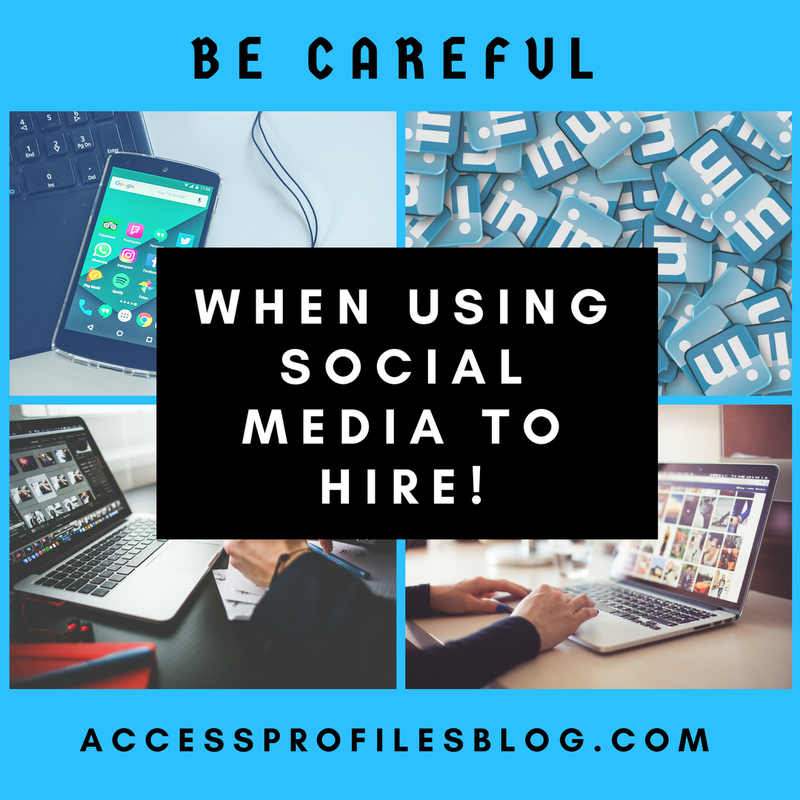 Essentially, a Social Media Check, along with other screening tools, helps an employer discover things that may either give them pause or leave them with a better opinion of their potential new hire. While a Social Media Check can be a great tool to help companies make a good hiring decision, as with any screening tool, employers must learn to use them wisely. “Your best course of action is to wait until after the initial interview to conduct a Social Media Check. Make sure you obtain a signed release explaining that a background check, including a social media search, is the next step. You should treat the social media check the same way you do other aspects of your employment screening. Your candidate must be given a copy of their rights (their right to a copy of their report and the ability to mitigate or dispute the information found), just like when you run a court record check. This includes documenting what social media sites were searched, when they were searched, what information was found, and what decision was made concerning employment. The report should then be kept in the candidate’s file”, excerpt from “Social Media Check ~ The Forgotten Screening Tool”! Check it out to learn more about the Why, When, and How of using social media in your hiring practices! In addition to waiting until after a conditional offer of employment has been made and obtaining a signed release, it is crucial that employers NEVER ask an applicant for passwords to their social sites. This can get companies in hot water and open them up to potential litigation. That is why businesses should consider using an experienced background investigation company to conduct their employment screenings. A good screening company will know what you can legally use to make a hiring decision and make sure any protected information is not used. This is key. At API, we can be that barrier! We will stand between you and the potentially sensitive information that may be found during all aspects of your employment background check, including the social media check. Check out our Background Investigation Services page to find out more! 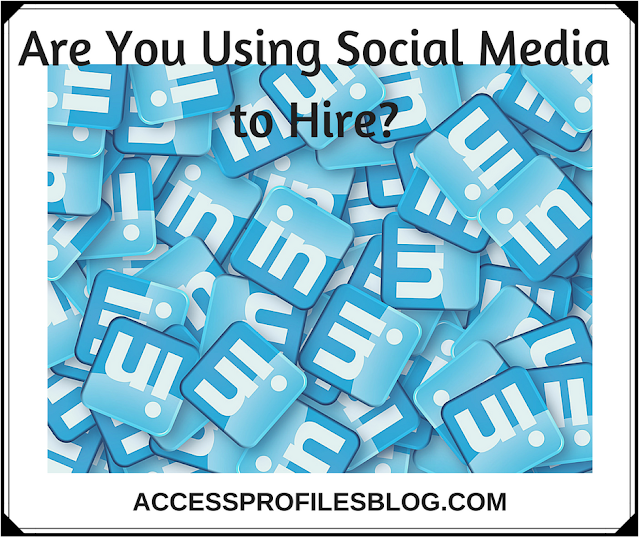 Bottom Line ~ Social Media is a great tool to help employers get to know their potential new hires. But it should only be part of their arsenal. Using it as one aspect of a more comprehensive background check is the best way to go. This way you will get a more in-depth picture of what your applicant brings to the table. And, more importantly, it will enable you to make a more informed and safer hiring decision ~ and that is good for you and your company. Contact Us and discover more about how our Background Investigation Services can Help You Hire Safely and Effectively!